Bonefish Grill's New Sea-lebrities Menu - $25 Bonefish Grill Gift Card Giveaway! Out of This World Family Fun at Star Wars Weekends at Disney Hollywood Studios! Bonefish Grill’s New Sea-lebrities Menu – $25 Bonefish Grill Gift Card Giveaway! I have always loved going to Bonefish Grill with it’s wide array of delicious food offerings including lots of options for those of us who love seafood. Now Bonefish Grill is going above and beyond with it’s new seafood menu additions. The “Sea-lebrities” are making an appearance near you! 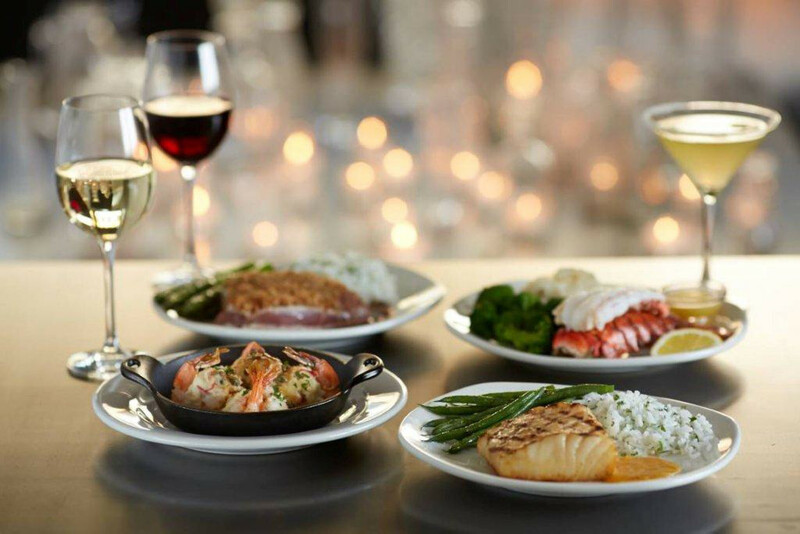 For a limited time only, seafood lovers can satisfy their cravings for prime delicacies of the ocean at Bonefish Grill with succulent dishes like Lobster Stuffed Shrimp, Misoyaki Sea Bass and Pretzel Crusted Tuna. This past weekend my husband and I decided to visit our local Bonefish Grill to celebrate that the kids had a sleepover at the grandparents and we had the night to ourselves. We started off with the Lobster Stuffed Shrimp which where filled with a creamy lobster and shrimp concoction and topped with a lemon caper butter sauce. The flavors and textures came together perfectly and the creamy, cheesy sauce balanced off with the citrus and capers. I have to say that this dish might just become one of my favorites. I then ordered the Pretzel-Crusted Ahi Tuna Steak, I love it red and have to say that the quality of the Tuna was exceptional. It was served with a cabernet mustard sauce , the pretzel crust drizzled with butter and I accompanied it with my favorite side dish: gooey cheesy potatoes au gratin. My husband had the Pecan Parmesan Crusted Rainbow Trout sautéed and topped with artichoke hearts, fresh basil and lemon butter. You can visit your nearest Bonefish Grill and delight your tastebuds with the new Sealebrities which will only be available for limited time. 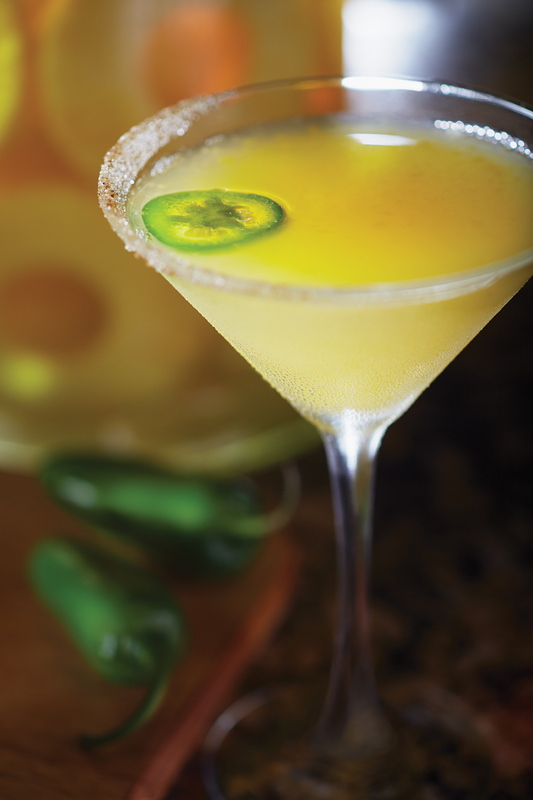 And to turn up the heat on any given day, Bonefish Grill’s Ocean Trust Tropic Heat Martini will provide the perfect kick made with house-made infused pineapple Absolut vodka, freshly muddled mango and a thin slice of jalapeno. For each Ocean Trust Tropic Heat Martini sold, Bonefish Grill will donate $1 to Ocean Trust to help conserve and protect our oceans. For more about Bonefish Grill and the new Sealebrities menu visit Bonefishgrill.com, like Bonefish grill on Facebook or follow @bonefishgrill on Twitter. You don’t have to keep wondering what these delicious new SeaLebrities dishes taste like or drool over the pictures, you can go and try them out! Win a $25 Bonefish Grill gift card! Giveaway open to US residents of the 48 contiguous states, ages 18 and older. Giveaway ends by June 8th at 11:59pm EST. Please allow 4-6 week for prize to be mailed to winner. To enter follow the instructions in the Rafflecopter below. Dunkin' Donuts New Menu Items, Free Donuts and $10 Gift Card Giveaway! I would love to try the MISOYAKI CHILEAN SEA BASS. I want to try Misoyaki Chilean Sea Bass. I’d like to try the lobster stuffed shrimp. If it’s at Bonefish it has to be good. The Lobster Stuffed Shrimp sounds amazing! I would love to try the Misoyaki Chilean Sea Bass. Sea Bass is my favorite and that sounds amazing. You made them sound so delish, I want what YOU had!! Tantalizing Tuna Steak- yum. I would love to try the Lobster Stuffed Shrimp! I would probably try the Pretzel-Crusted Ahi Tuna Steak. The lobster stuffed shrimpsounds great! My husband and I love Bonefish grill….there food is delicious. I’d love to try the Lobster Stuffed Shrimp . Great Seafood!!!! Love this place!!! Lobster Stuffed SHrimp sounds amazing! I loooovveee Bonefish Gril…. anything they make is delicious! Must check it out soon! I would like to try the Pretzel Crusted Tuna! Sounds delish! Wow, I need to get to the Bonefish Grill, I had no idea they had such amazing options! The Pretzel-Crusted Ahi Tuna Steak sounds amazing, I’d love to try it! Thanks for the chance to win! I HAVE YET TO TRY THIS RESTAURANT, WOULD LOVE TO TAKE THE WIFEY OUT ON A DATE NIGHT AND ENJOY! THANKS! I’ve never been to Bonefish Grill. Perfect opportunity to pay them a visit.